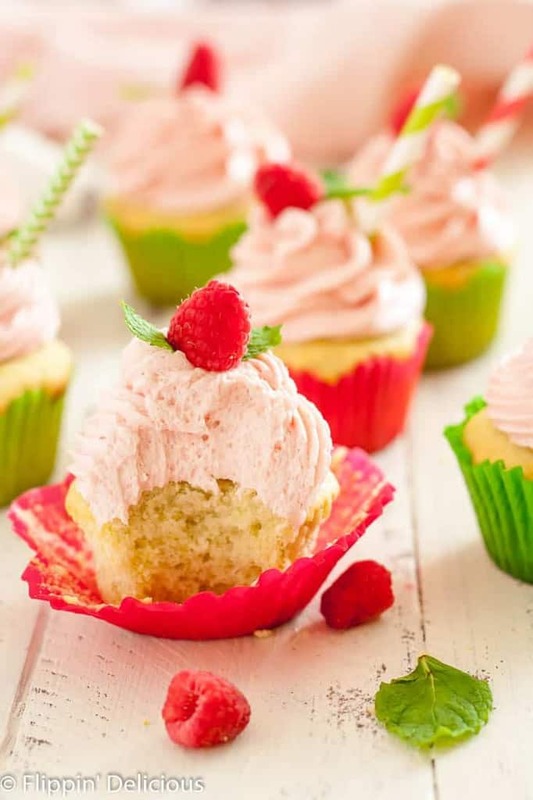 These gluten free raspberry lime mojito cupcakes are tender and sweet. Each bite will whisk you away to your favorite summer patio with a cold mojito in hand! I am still “recovering” from all the fun that I had at Everything Food Conference a few weeks ago. I got to “meet” several of my gluten-free blogging buddies including Chrystal from Gluten-Free Palate for the first time. 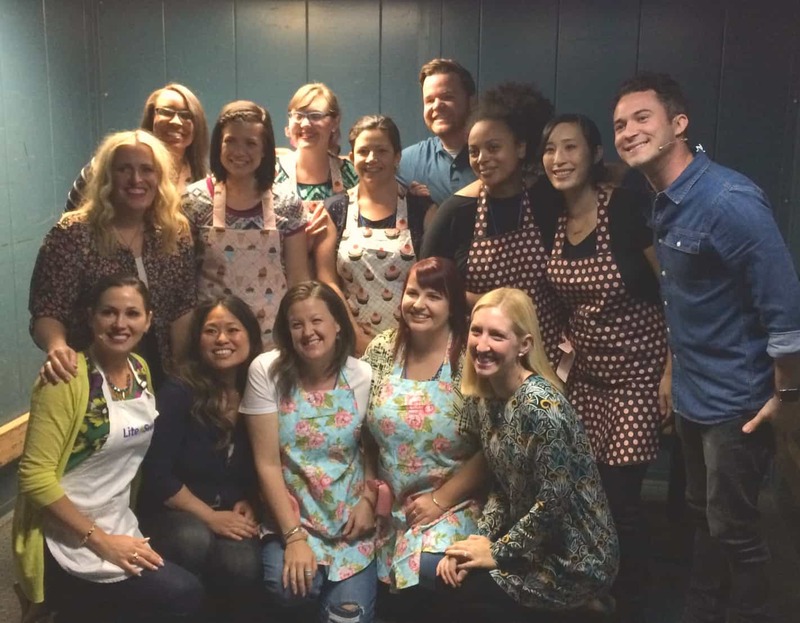 Not only did I get to meet Chrystal, but we also got compete as a team in a cupcake battle HOSTED BY JUSTIN WILLMAN (the host of cupcake wars) and judged by several past cupcake wars winners and competitors. We competed with these gluten free raspberry lime mojito cupcakes! Chrystal and I found out that our team, “Sassy Sprinkles”, was selected to compete about a month before the conference so that we had a little time to test and perfect the recipe that we wanted to compete with. We wanted to create a cupcake that was tender and sweet and that would be the perfect bridge from spring to summer. This gluten free raspberry lime mojito cupcake does just that! The lime and mint cupcake is beautifully tender and soft with the PERFECT crumb (Chrystal gets the credit for that, she is a cupcake wizard!) We used lots of fresh lime zest so that you don’t miss the bright citrus flavor and we made our own mint-infused rum by muddling fresh mint and rum about 12 hours before we competed. The rum adds the perfect hint of mint just like your favorite mojito. When the cupcakes came out of the oven we brushed them with some more of our mint infused rum and lime juice to bring the mojito flavor home! The moisture evaporates quickly since the cupcakes are still hot, leaving an extra layer of flavor behind. 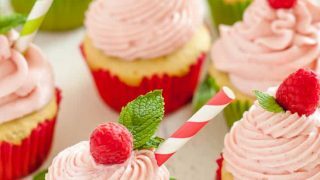 The raspberry mojito frosting might be my favorite part… and it is what I am sharing with you today. I am a buttercream gal for sure. I took my favorite american buttercream recipe and used that mint infused rum instead of the vanilla and cream in the recipe, and then I whipped in some fresh raspberry puree. The frosting is sweet, buttery, and fluffy with the perfect amount of raspberry, mint and rum to dance on your tongue. 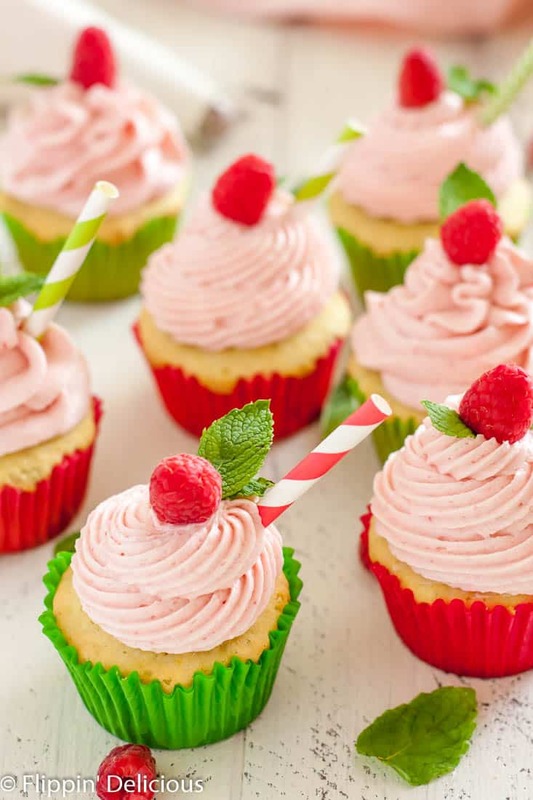 Each cupcake was garnished simply with a sprinkle of lime zest, a juicy fresh raspberry, and a fresh mint sprig. We were the only gluten free team competing, and I think that we definitely held our own. The judges took FOREVER to decide who won. All of the competing cupcakes looked amazing, I wish that I had been able to sample them. You can watch the facebook live stream that my friend Sandi from Fearless Dining did of the cupcake battle if you want. The first half of the battle is HERE and the second half of the battle is HERE. Spoiler….we didn’t win. But I was ok with that. The judges all commented that they would have never guessed our cupcake was gluten free if we hadn’t told them. 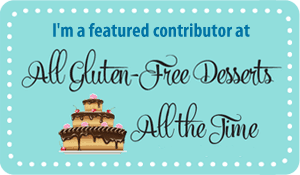 THAT is the highest praise a gluten free cupcake can get. And from people who really know their cupcakes too. 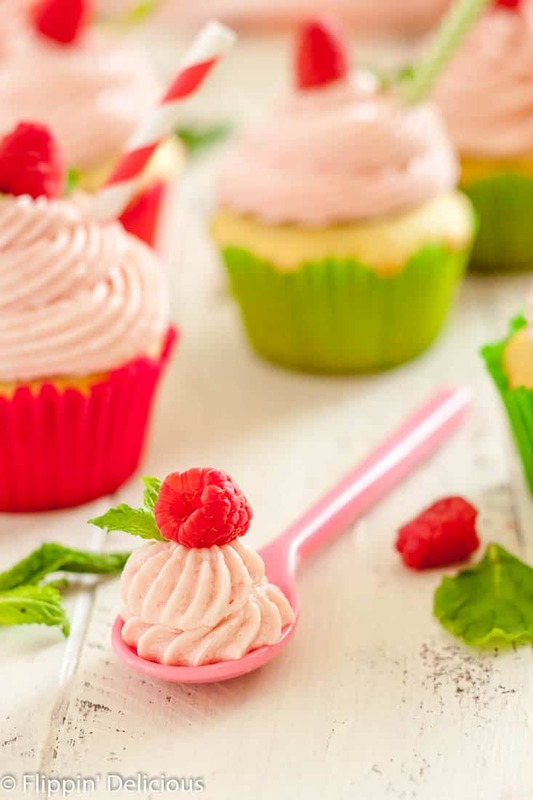 Chrystal is sharing the gluten free raspberry lime mojito cupcake recipe on Gluten-Free Palate and I am sharing the Raspberry Mojito buttercream frosting here. 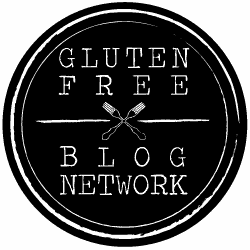 The other competitors cupcakes aren’t gluten free, but I thought you might like to look at their blogs/recipes too! 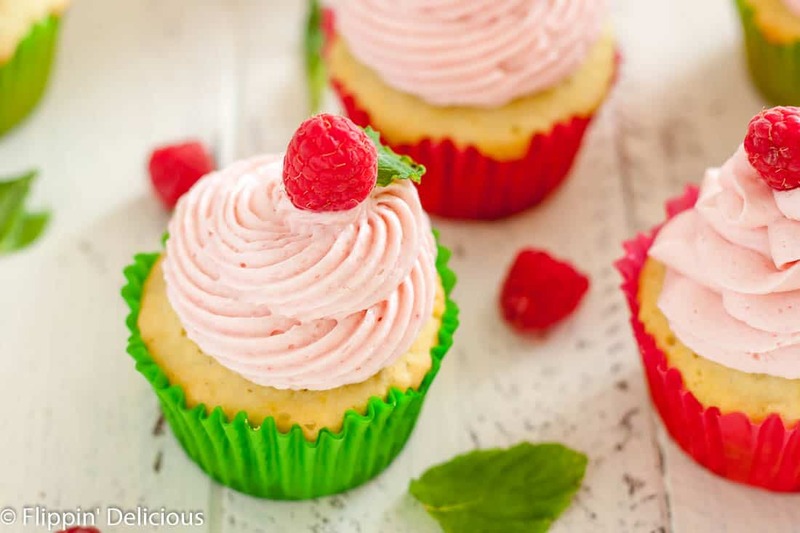 Gluten free raspberry lime mojito cupcakes are tender and sweet. Each bite will whisk you away to your favorite summer patio with a cold mojito in hand! In a stand mixer or in a bowl with a heavy-duty electric mixer, whip the butter for 5 minutes or until it is very light and fluffy. While it is whipping make the raspberry puree by pushing the raspberries through a sieve with the back of a spoon until you have 3 tablespoons of puree. When the butter is light and fluffy add the powdered sugar, rum, and raspberry puree and whip for 2-3 minutes, starting at a low speed so you don't dust your kitchen with powdered sugar, and then increasing speed to high. Load the frosting into a piping bag with a french tip (or your favorite) and pipe onto the cooled gluten free mojito cupcakes. Garnish with fresh raspberry and mint leaves and a sprinkle of lime zest. The print button does not work correctly. It brings up a blank page. These look delicious and I already printed the cupcake recipe. Can you help? It is much easier to follow the compact print version than the blog with all the ads! I’m sorry the print button wasn’t working. I’m halfway through updating my recipe card on each recipe on my site to make it easier to navigate. I just updated this recipe to the recipe card, hopefully it is easier to print now.